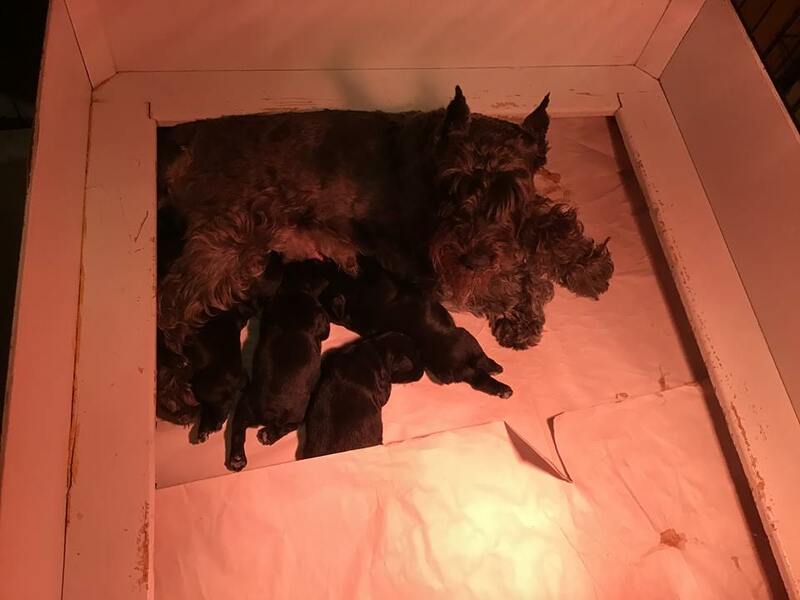 We are thrilled to announce that our first litter of 2019 has arrived. Fenna delivered a large litter of 7 pups just in time for New Years! Both mom and pups are doing great. 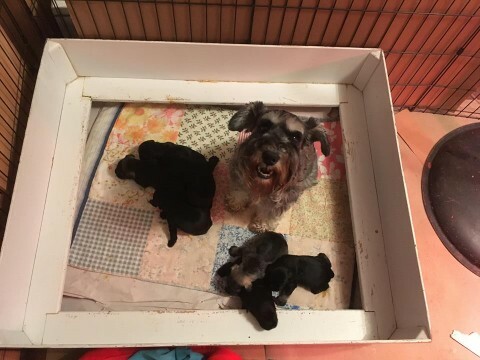 If you would like more information about our wonderful Miniature Schnauzer puppies please feel free to contact us. Our second litter for 2019 has arrived! Jess delivered 5 lovely Black puppies. Both mom and pups are doing great.